Washington, DC, October 10, 2018 — The National Fitness Foundation, the official nonprofit of the President's Council on Sports, Fitness & Nutrition, has announced LaRhonda Burley as its new Vice President of Partnerships & Marketing. The National Fitness Foundation was congressionally chartered in 2010 to support and strengthen the mission of the President's Council by generating private sector investments and partnerships to help all Americans live active, healthy lives. The Foundation established the National Youth Sports Fund, the first-ever national endowment dedicated to supporting and expanding youth sports participation. Burley joins the Foundation with over 10 years of sports marketing experience. Following a graduate internship with the Tiger Woods Foundation, Burley joined Monumental Sports & Entertainment with a focus on business operations for the Washington Wizards and Washington Mystics where she managed the Mystics jersey naming rights partnership with Inova Health System as well as the presenting partner of the Mystics Youth Summer League, Kay Jewelers. Following her tenure at MSE, Burley managed the sponsor portfolio for the 2013 Citi Open as a consultant for Lagardere Sports & Entertainment before joining the Washington Redskins sponsorship group in 2014. As Senior Director of Partnership Marketing for the Redskins, Burley managed the sponsorship activation group as well as the Team's affinity marketing initiatives, Redskins Salute and the Women of Washington. After four seasons with the Redskins, Burley was hired by the NFL Players Association where she served as the strategy lead for 32 NFL clubs, advising on best practices for use of athletes in sponsor programs. A Maryland native, Burley earned a bachelor's degree in international business from the University of Maryland and a master's degree in sports management from Georgetown University, where she currently serves as an advisor. 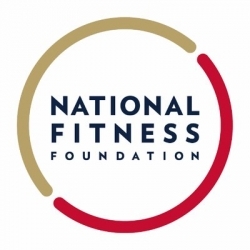 The National Fitness Foundation is the only congressionally chartered nonprofit focused on health and fitness. Established in 2010 as the official charity of the President's Council on Sports, Fitness & Nutrition, the Foundation develops public-private partnerships and raises capital to accelerate solutions that prepare children for a lifetime of health & fitness through youth sports. The Foundation also leads the Presidential Youth Fitness Program, the nation's model for fitness education in schools.